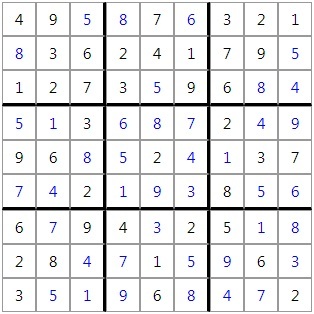 Using the solver at http://www.sudoku-solutions.com/ (exact puzzle here) it suggested the following steps. Rows are lettered A to I from the top, columns 1 to 9 from the left. Column 1: 7 only appears in D1 and F1 so 7 cannot be in D2 or F2. Column 5: 9 only appears in D5 anf F5 so 9 cannot be in D4 or F4. 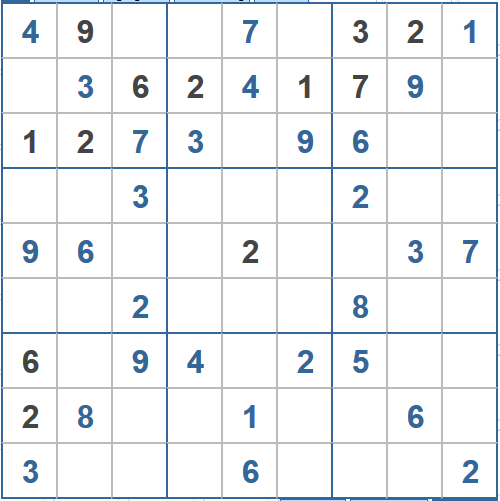 Mid-right square: 9 only appears in D9 and F9 so 9 cannot be in H9. Row H: 7 only appears in H4 and H6 so 7 cannot be in I4 or I6. G5 and G9 can only be 3 or 8. Therefore 8 cannot be in G8. 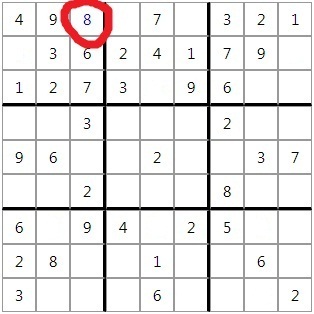 Column 9: 6 and 9 only occur in D9 and F9 so all other numbers can be removed from those cells. Column 9: 5 only occurs in B9 and C9 and so cannot be in C8. I6 can now only be 8. 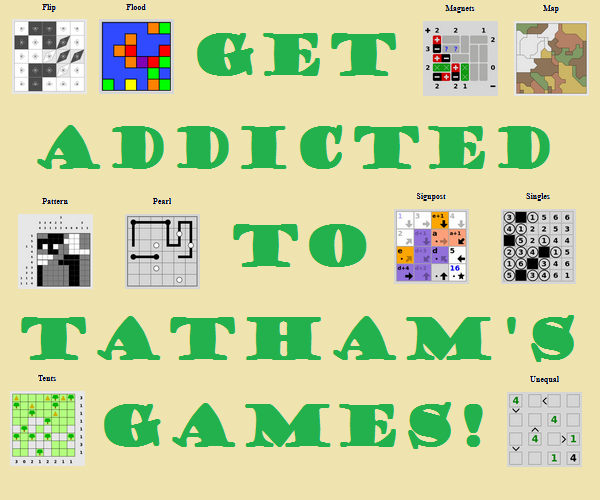 The rest at that stage falls out pretty easily though if you want more then the website linked will take you all the way to the end. 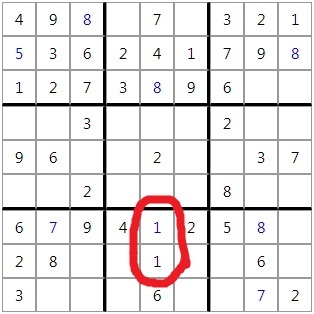 Find a spot that only have two possiblities and fill it randomly with one possibility and keep playing untill it is solved or untill I encounter an error which then eleminates that possibility and makes the other possibility the correct one.